I promised you some changes in the ‘fashion department’ here on my blog. Instead of a weekly outfit, I want to be more diverse concerning fashion. I will show you what inspires me, I will give you styling and shopping tips, I will keep you posted on trends and so much more!Mind, I will definitely not say goodbye to outfit pictures. I will keep on posting them on my Instagram account (check here) and regularly I will do a summary of my IG outfit pictures here on ‘the good, the fab and the lovely’. This first fashionpost ‘new style’ is all about inspiration… ‘Inspired by’ will be a recurring topic. Once in a while I will tell you what inspires me fashion-wise. And that can be all sorts of things… not just a fashion magazine, runway pictures or the things I see in the shops. I can also be inspired by books, art, music, nature, events, exhibitions, street style,… the list is endless! 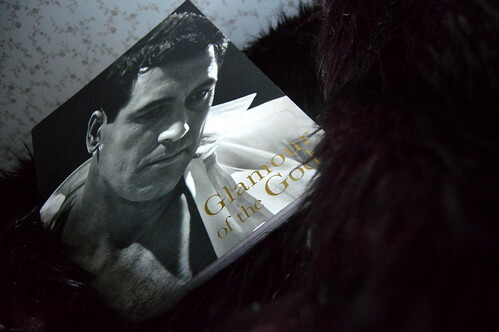 Today’s post is about the inspiration I find in the book ‘Glamour of the Gods’. A couple of years ago I visited the exhibition ‘Glamour of the Gods’ in the National Portrait Gallery in London. This exhibition was a tribute to Hollywood portraits taken during the industry’s golden age, the period from 1920 to 1960. 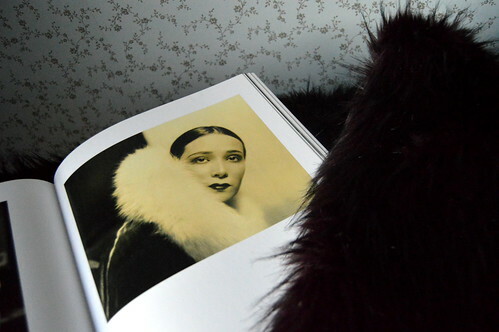 On the fabulous pictures that inspired me for today’s post you see Dolores Del Rio, Greta Garbo and Margaret Sullivan. All three stunningly beautiful ladies, all three talented actresses and all three looking fabulous in their fur collar… oh the glitter and glamour from Hollywood… don’t you just love that! Fur collars are trending these days as well. Real or fake, whatever. It looks glam, it feels luxurious and it lifts your outfit to a next level! A couple of months ago I showed you my dark blue winter coat with this beautiful (fake) fur collar. It just adds a healthy dosis of oomph to my coat, doesn’t it? You can see the entire outfitpost here. 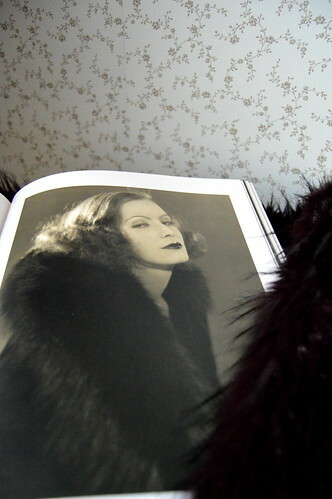 And last winter I bought a fake fur jacket in a beautiful plum colour. You can read the entire post here, but below you see a picture of this jacket. Lovely isn’t it?! 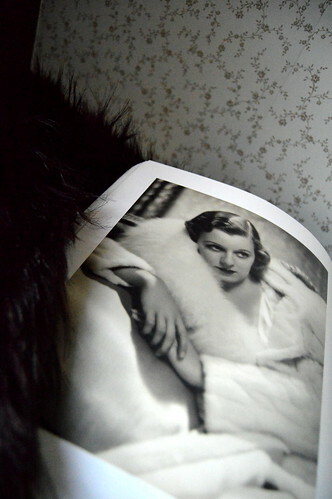 I also did a styling post on how to wear fake fur (see here). You might want to go safe and buy white, cream, beige or black, but the coloured ones are bound to be at a higher reduction… your choice! I made these collages with the very addictive app Polyvore. You can also check the Polyvore.com website for hours of fun! Well I certainly hope I could give you some fur collar inspiration today 😉 See you again really soon! PS: last Tuesday I gave you some tips on how to strike the best bargains… learn from a pro and read them here!